Hi everyone. 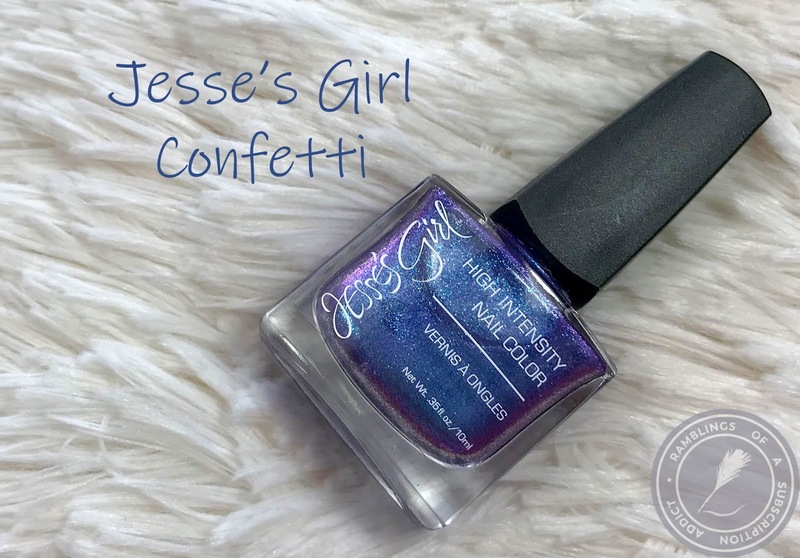 I have another Jesse's Girl polish to share with you today. If you remember from my last post, this brand is/was sold at Rite Aid (which has now been bought by Walgreens). The brand was bought out and is currently isn't available anywhere right now. Check out more Jesse's Girl reviews here! 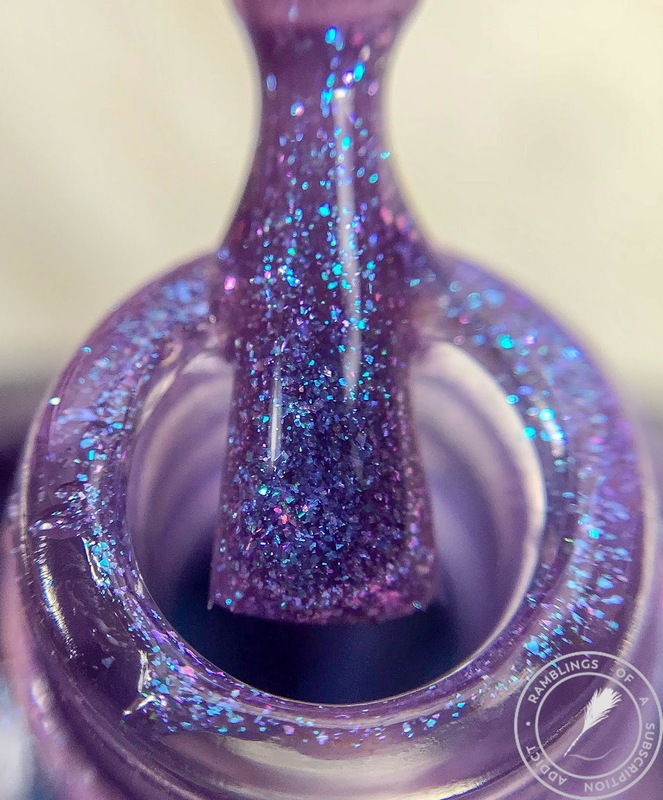 Confetti is a purple-to-blue shift glitter that can be used alone or layered over another color. 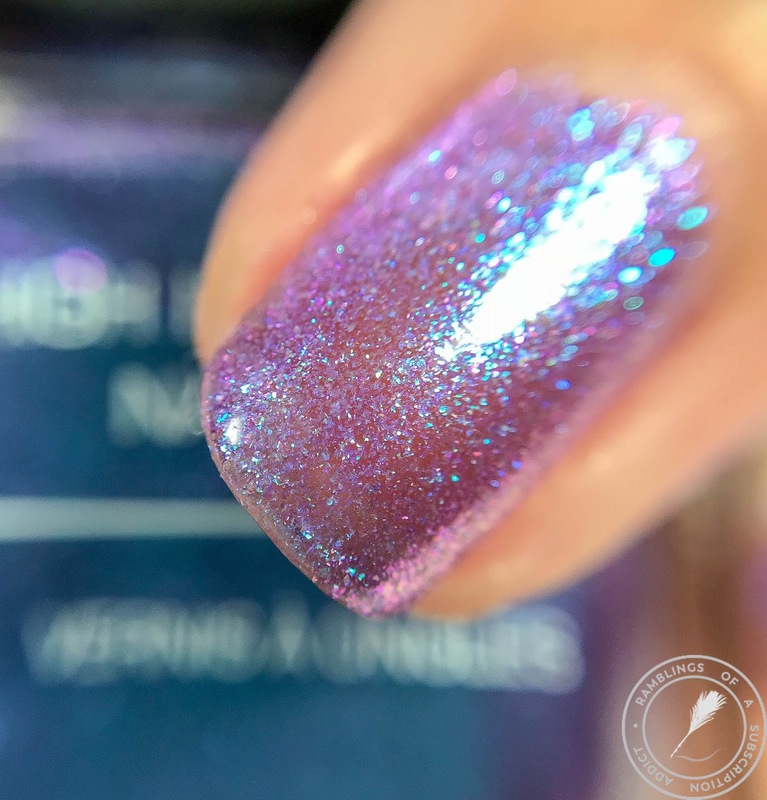 This is one of my favorite drug store polishes, ever. 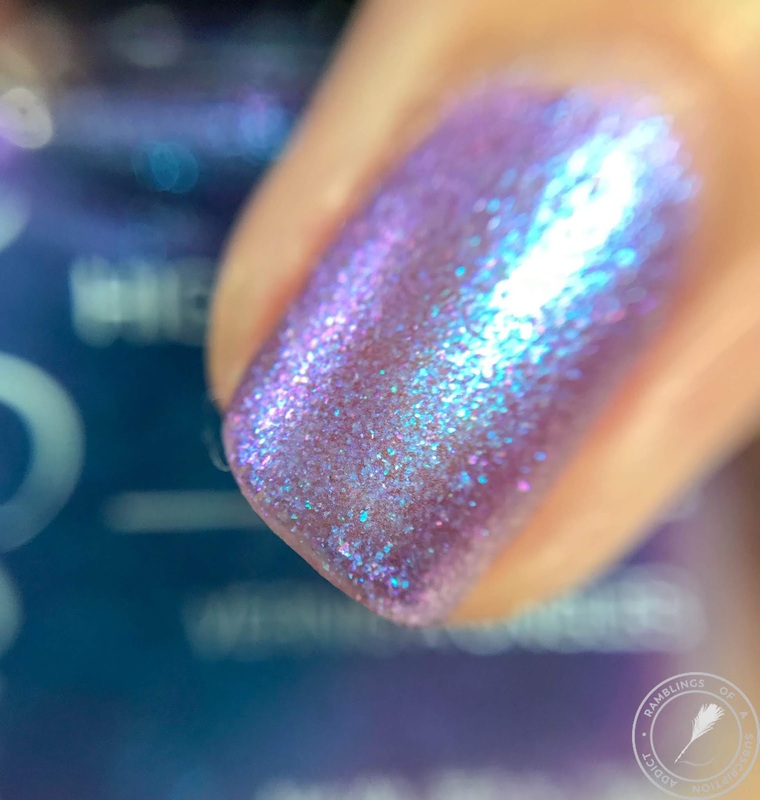 The shift, the shimmer, the glitter, it's everything I could ask for. I wish I could get a second bottle! The application was good, the coverage isn't there at all and I used three coats. I'd definitely wear a black undie next time. It did dry down smooth and shiny, even with all of those layers. This is stunning even matte.